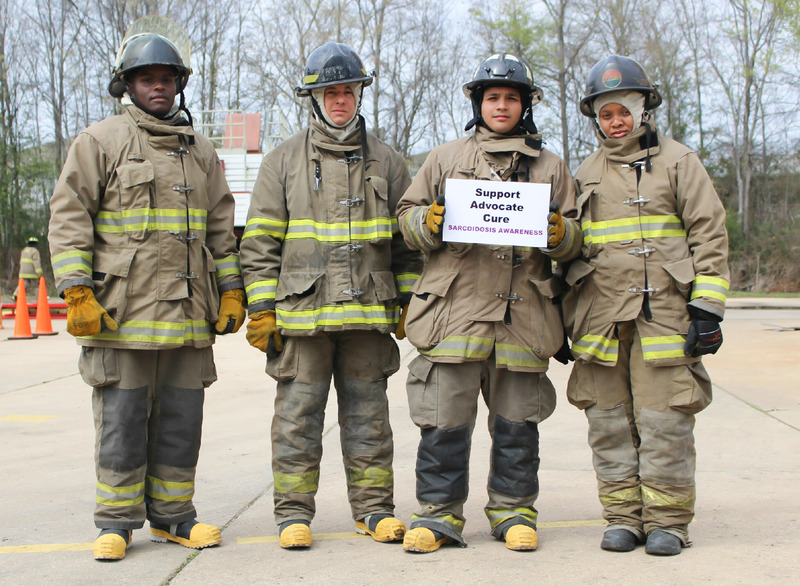 Firefighters and first responders seem to be at a higher risk of developing sarcoidosis. While this has been a theory by many over the years, like every other aspect of sarcoidosis, research was lacking. As a disease that commonly affects the lungs and shows a correlation with exposure to certain environmental exposures, it’s a logical jump that firefighters who are constantly around smoke, toxic substances and other building debris likely have higher rates of sarcoidosis than the general population. One researcher, Dr. David Prezant, started longitudinal studies on New York firefighters in the 1980s, looking to see if they were affected by sarcoidosis in higher numbers than the general population. However, it was really after 9/11 happened that there became a large wealth of data to use for this kind of research- thousands of firefighters, police, EMTs and other emergency workers were exposed to the thick and toxic dust that filled the air at Ground Zero, many without proper safety equipment or dust masks. Many of these rescue workers have joined the World Trade Center Health Monitoring Program, which provides care and resources for these heroes, as well as tracks the countless diseases and health afflictions that they have faced over the past 15 years. One study found that of 26 FDNY rescue workers who had developed sarcoid-like pulmonary symptoms, 23% had sarcoidosis-type involvement in other organs as well. All of these workers had been present at Ground Zero within 72 hours of the disaster, when the dust and debris in the air was at its thickest. All had clean chest scans prior to 9/11. The exact number of WTC heroes with sarcoidosis is unclear for many reasons: privacy, misdiagnosis, and discrepancies between treatment centers and monitoring programs. However, by 2015 at least 5,500 first responders had been diagnosed with a pulmonary disease, including asthma, pulmonary fibrosis, and sarcoidosis. This number has only continued to grow, as more first responders are developing symptoms or seeking treatment. Raul Martinez was a sergeant with the New York City Police Department when the 9/11 attacks took place. He spent nearly 8 months at Ground Zero and the Staten Island Landfill. “I did what I had to do. I was just doing my job” says Raul. It wasn’t until after 9/11 that he started getting lesions on his skin and even more symptoms of sarcoidosis. Unfortunately, Raul’s story is not unique…thousands of the first responders who were at the World Trade Center have been diagnosed with respiratory illnesses, many showing up even long after their work at Ground Zero was done. These illnesses were called the “World Trade Center cough” before it was discovered that the 9/11 heroes were being diagnosed with real illnesses, not just acute irritation from the toxic dust that filled the air at Ground Zero. To get in touch with Raul, you can email AmbassadorRaul@stopsarcoidosis.org.